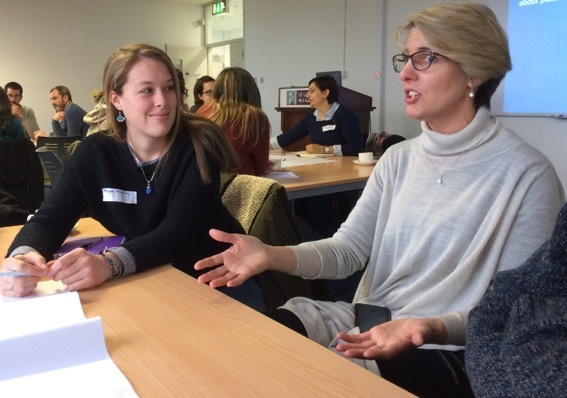 Dr Trisia Farrelly from Massey University has recently returned from sabbatical at the National University of Ireland, Galway, where she coordinated a forum on plastic waste. Trisia led the morning session with a presentation on the need for more inter- and trans-disciplinary research that politicized the challenges posed by the production, consumption, and disposal of plastics. "The main message was, anthropologists and other social scientists can politicise and provide cultural context to the great scientific work they are doing and that more genuine inter- and trans disciplinary work is urgently needed in this area - work that generates innovative ideas and practical solutions that transcend the disciplines of each of the collaborating researchers," says Trisia, who is currently co-organising an international conference on The Lives and Afterlives of Plastic. The Ryan Institute (NUI Galway), Moore Institute (NUI Galway) and GMIT (Galway) presentations that followed captured the depth and breadth of research on plastics produced by these research centers. Six groups generated lively discussions in World Café format. The groups were prompted to discuss research that would best respond to the most pressing challenges posed by plastics. They were then asked how interdisciplinary collaborations (between the social sciences and humanities, and the natural and life sciences) could valuably respond to these challenges. The discussions culminated in some innovative interdisciplinary research ideas. Conversations with natural scientists over the sabbatical period revealed a range of barriers to the public dissemination of plastics research (particularly microplastics research) and the ability to influence policy and practice as much as they would like. Trisia will be working on microplastics research projects involving the social and natural sciences with GMIT and the Ryan Institute this year. Dr Farrelly would like to acknowledge the Moore Institute (NUIG) for supporting her sabbatical as she was awarded the Moore Institute Visiting Research Fellowship.